The AJHS–NEA archives are filled with stories of individuals and families who have affected the Jewish communities of Greater Boston and New England. Eliot Snider is the focus of one such collection. 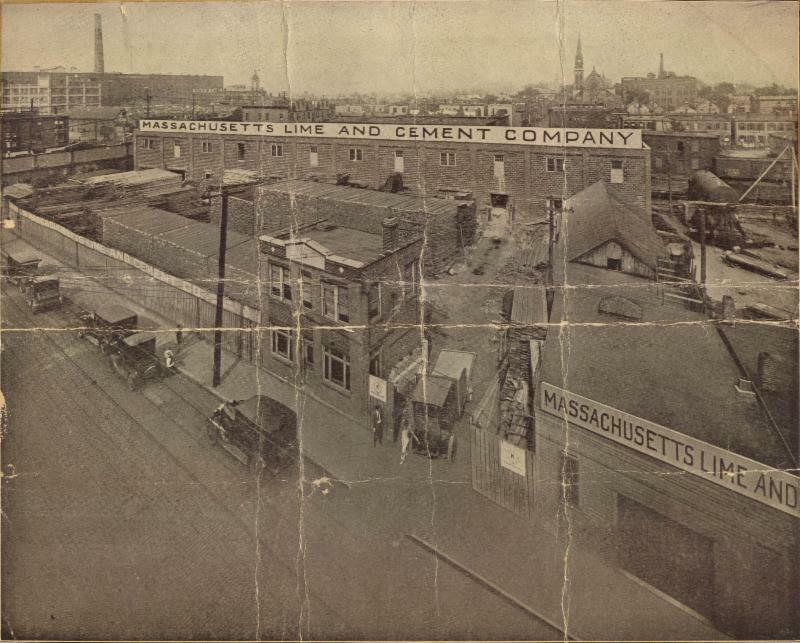 Four years before Eliot was born, his father – Harry, a Jewish immigrant from Lithuania – founded the Massachusetts Lime and Cement Company, later re-named Massachusetts Lumber, in Cambridge, Massachusetts. Eliot graduated from Boston Latin School in 1937 and went on to attend Harvard University for both his bachelor’s degree and M.B.A. He then served in the U.S. Navy, working in industrial engineering, until 1946. 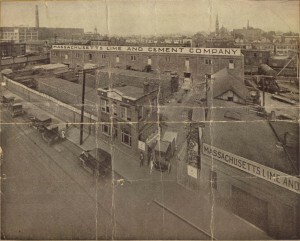 When Eliot returned home to work for his father, Massachusetts Lumber had already begun expanding. Eliot became president of the company in 1953 and continued this expansion throughout the 1950s and 1960s, acquiring other companies and establishing branches throughout New England and New York. Under his direction, Massachusetts Lumber became involved in industry innovations and new technologies, notably in the fabrication of laminated wood, and opened subsidiaries in such areas as utility pole distribution and specialized tractor trailers. Though Massachusetts Lumber’s business operations were sold to a Mississippi company in 1998, its facilities were not, and the company continued to lease properties while shifting its focus to real estate and investment management. Eliot Snider remained as director, president, treasurer, and sole stockholder. The Eliot Snider Papers include documents, photographs, and artifacts relating to the history of Massachusetts Lumber, and it also shines a light on Snider’s other activities, from his travels to his family life. In the collection you can also find unexpected and personal items, such as Japanese fabricated wood samples, plans for Bar Mitzvah celebrations for Eliot’s two sons, cruise line newsletters, and family recipes. Accompanied by his wife Ruth, with whom he has three children, Eliot traveled the country and the world as a member of the Young Presidents Organization, the Chief Executives Organization, and the World Presidents Organization. On these trips, he has participated in programs and conferences, met with statesmen and dignitaries, and studied the lumber industry in foreign nations. Snider served as President of the Harvard Business School Alumni Association, and participated in the School’s Initiative on Social Enterprise. He was a member of the Harvard Health Policy and Management Executive Council and has served on the Harvard School of Public Health’s Dean’s Council since 1993. In addition, he was a trustee of Beth Israel Hospital, and was involved in the formation of the Beth Israel Deaconess Medical Center. Snider was also concerned with increasing economic literacy among children, serving as Director of the National Council of Economic Education, and has been widely recognized for the educational initiatives he promoted. The Eliot Snider Papers chronicle what is in many ways a common story: that of Jewish immigrants who came to America in the early 20th century and built a path towards opportunity and success for themselves and subsequent generations of their families. But it also documents the life of an individual and how he contributed to making that common story his own. Related collections at AJHS–NEA include the Papers of Stanley and Mary Ann Kane Snider (Stanley, Eliot’s brother, established Stanmar Inc., which developed the Smugglers’ Notch Resort), the Records of Beth Israel Hospital, and the Records of the Combined Jewish Philanthropies, among others. AJHS–NEA also has small collections of two Beth Israel Hospital doctors, Dr. Jacob Fine and Dr. Samuel Goodman, as well as related Beth Israel Hospital records in the Wyner Family Papers and the Records of the Roxbury Ladies Bikur Cholim.